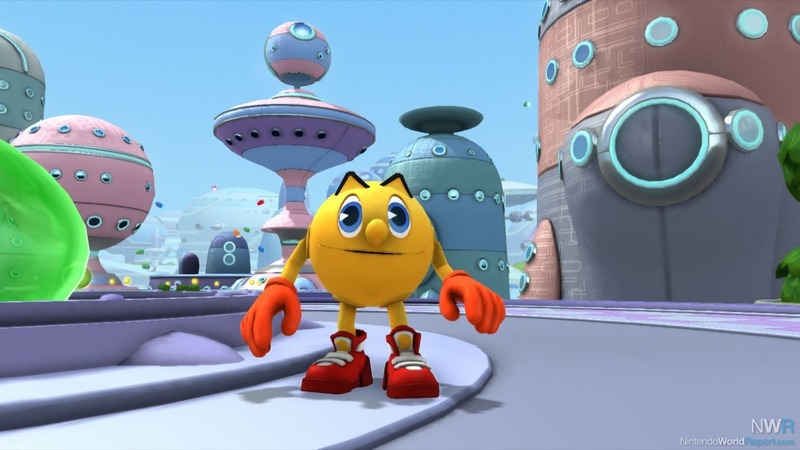 Pac-Man and the Ghostly Adventures is a game brought to you by the development and publishing powerhouse that is Namco Bandai and it is available on PC and laptop, Nintendo Wii and Wii U, Xbox 360, Playstation 3 and the focus of this review, the Nintendo 3DS. Pac Man and the Ghostly Adventures has been released on quite a large number of different platforms and occasionally this results in a game that doesn’t perform too well on any of them, but then again, sometimes it works a treat. In this game, players are tasked with retrieving the tree of life which has been stolen by the malicious ghost emperor, Betrayus. Good name immediately springs to mind. Why is this tree of life so important people will be asking? Well, the tree of life is the tree that produces the powerful magic berries that enable Pac Man to nosh on the ghostly nemeses, so yeah, it’s pretty important. Because it is most relevant to Pac Man, it makes good sense for Pac Man to be the one to retrieve it, does it not? 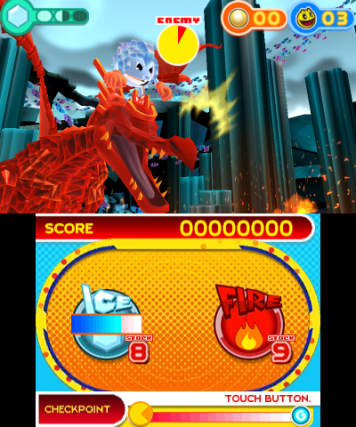 Much like in Mega Man franchises, players can select the level the start their adventure on, choosing from a a forest level, an ice level, a maze hedge level and a neon platform level. The neon platform level is very reminiscent of the old packman design, dark blues, blacks and neon vibes everywhere generating a lovely nostalgic buzz. On every level there is a head boss for Pac Man to defeat using a whole variety of different techniques and power ups. Obviously, with it being Pac Man the primary form of attack is by eating and Pac Man can string together several chomps to defeat ghosts. As well as this, there are various different berries that give Pac Man some special powers; an ice berry that will freeze ghosts to the spot, a chameleon berry that will let Pac Man capture enemies with a sticky tongue and a steel berry that turns Pac Man completely metal. There are plenty of things to collect during the game and players are encouraged to go back to previous levels to collect some of the things they might have missed on the first run through, which is a good touch because sometimes there are too many ghosts to eradicate to go looking around for items. The graphics are pretty standard for a game of this nature, nothing too unpleasant and reasonably crisp but then also nothing overly exciting. The soundtrack is arguably similar, with a reasonably standard soundtrack and very little narrative. The sound effects are pretty strong but could have done with a bit more oomph, however this might be more down to the volume capabilities of the Nintendo 3DS itself, rather than the game. The controls are easy to use and very obvious, without having ever played Pac Man before so new users will pick everything up very quickly, that and the game play isn’t too fast paced so players have a chance to get to grips with the game before being overrun.